The global C4ISR market has been displaying immense growth potential over the past few years, thanks to the integration of C41SR systems in the existing platforms, including as land-based, naval, space, and airborne platforms. As the deployment of these systems ensures faster operations at reduced costs, a robust increase in their uptake has been observed across all the platforms. Several technological advancements in the global C4ISR market, such as combat systems, cyber-defense, and wind shear technology, are leading to the development of advanced C4ISR systems, which is reflecting greatly on C4ISR market. Currently, the rising uptake of counter radio electronic warfare systems (CREW) for electronic warfare is assisting the market to grow steadily. These systems are extremely effective in neutralizing remote-controlled improvised explosive devices (RCIEDs), making them advantageous in cases of casualties during attacks. Further, these systems are man-portable and vehicle-mounted and are specifically utilized to disturb the communication links of an IED, providing the military with strategic advantages over enemies. Manufacturers are investing heavily in CREW systems in order to equip them with exquisite features, such as user-friendly performance, superior protection, functional in extreme temperatures, and low power consumption, which consequently, will influence the global market for C4ISR in the years to come. The application of C41SR systems is anticipated to increase substantially in intelligence services and the demand for communication network will be higher than other products over the next few years. While airborne platforms will serve as the primary platform for C41SR systems, the deployment of land-based platforms will increase at a steady rate in the near future. C4ISR is an exhaustive concept originated to help commanding authorities take complete control of their operations with the providence of decision support and information systems. It rightly stands for command, control, communications, computers, intelligence, surveillance, and reconnaissance, each of which represents the critical functions of the concept. The command unit includes certain authority exercises based upon specific knowledge. Control signifies the verification and correction of activities to achieve definite objectives. Communication illustrates the liaison required to command tactic or strategic units. The computers section incorporates data processing and computer systems and their compatibility. Apart from the analysis, collection, and distribution of data, the intelligence feature comprises of operational and strategic intelligence. EW and SIGINT, satellite, and HUMINT are some of the surveillance systems included under the surveillance portion. Reconnaissance encompasses the exploration and inspection of locations. The C4ISR market is envisaged to demonstrate robust growth between 2017 and 2025 on the back of time-efficient solutions and systems to enhance operational coordination. With real time information about the situation in discussion, C4ISR also assists to improve the situational awareness of operators. The four major functions performed by a C4ISR are creating a standard tactical image and furnishing all the data to operators and commanders, implementing information warfare (IW) effectively, using sensors to deliver information directly to the operators, and assuring connectivity between the operators during the exchange of information. Some of the information systems used include global information exchange system (GLOBIX), battle group information exchange system (BGIXS), officer in tactical command information exchange system (OTCIXS), and tactical data information system (TACIXS). 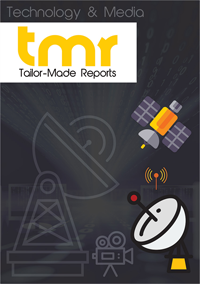 Taking into consideration the various geographical segments that the C4ISR market is prevailing in, Asia Pacific, North America, Europe, and Rest of the World have taken the global industry by storm. With regard to application, the international C4ISR market is segmented into airborne, naval, land, military, and space. According to product type, the segmentation follows as command, control, communication, computers, intelligence, surveillance, and reconnaissance. Few of the important players that are likely to make an impact include Northrop Grumman, Bae Systems, Rockwell Collins, L3 Communications, Lockheed Martin, ITT Exelis, Thales Group, Elbit Systems, Rheinmetall Defense, Boeing, IHS Jane’s, SAAB, and Raytheon. Out of the pass-remarkable constraints of the market, the ambivalence of military missions and retrench in defense budgets are the prominent ones. Howbeit, the C4ISR market is expected to ride on the worldwide requirement of militaries to employ and support IW systems and ensure greater situational awareness of the commanders exercising complex weapons systems. Besides these, faster response time in a littoral setting and sophisticated level of coordination between joint operations are anticipated to drive the growth of the global market. Such significant advantages gained with the usage of C4ISR systems have in turn impressed the end users and the value of service to them. Some of the biggest revenue generators of the global C4ISR market include the rising warfare incidences, improved time-efficiency, and augmenting demand in developing markets.